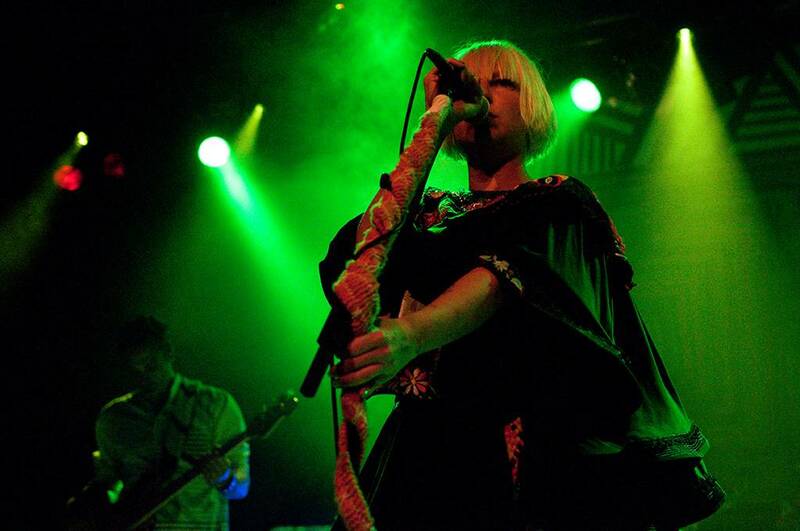 Aussie songstress Sia (not to be confused with American drumstep artist Ana Sia) along with two pals, Ximena Sarinana and Oh Land, impressed the sold-out Commodore Ballroom crowd Friday night with a show featuring all aspects of the feminine. From the cute and petite Spanish soul stylings of Ximena, to the waifish avant-garde posturing of Oh Land to the gutsy barroom growls and toilet bowl humor of Sia Furler, each female brought a distinctly different character and a sound for every palate. Definitely the black-horse up ‘n’ comer Ximena stole the award for straight-up star quality, charisma and talent. Putting the insubstantial and at times inane Oh Land to shame, Ximena had a solid crowd gathered to worship her powerful voice and exotic lyrical stylings. Seeing her on stage you would never guess the petite singer/songwriter was barely 5’2 – her voice projected in a manner of operatic divas three times her size. Next up the theatrical Oh Land took the stage to treat the audiences to her latest rehash of late 2000’s electro-clash meets ’90s Euro house. This reviewer admired her costume, but that was about it. Finally, the performer everyone had been waiting for appeared before us in a ruffled cape (which she joked was covered in vaginas) and cascading tiered skirt. 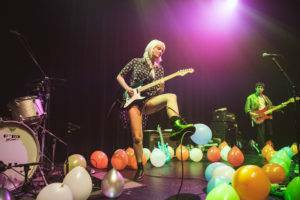 “Quirky, extroverted and fun” pretty much sums up Sia’s onstage presence. Her stage set was decorated with custom carpets, crocheted blankets and every other stand and boom had been yarn-bombed in true East Van style. Her witty, infectious banter won the crowd over in between her trademark gut-wrenching, pitch-perfect vocal performances. Bringing out material from all three of her major label releases, she also performed her crowd-pleasing cover of Madonna’s “You Can’t Hurt Me Now” – her unique homage to an ’80s pop inspiration and not ironic in the slightest. She left her two biggest hits, “Breathe Me” and “Clap Your Hands”, for the encore, which seemed fine with everyone. “And now for the two songs you all paid to see,” she snidely quipped. We didn’t mind at all. This entry was posted in concert reviews and tagged Commodore Ballroom, Vancouver concert photography, Vancouver concerts. Bookmark the permalink.